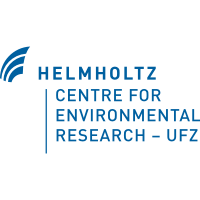 The Helmholtz Centre for Environmental Research - UFZ, Germany, was established in 1991 as the first and only centre in the Helmholtz Association of National Research Centres (HGF) to be exclusively devoted to environmental research in a great variety of fields. It currently employs around 1,100 people. Presently, the UFZ is participating in 50 EU funded research projects; ten of them are coordinated by UFZ. Additionally, the UFZ is hosting two ERC grants, one Starting Grant and one Advanced Grant, 11 Marie Curie Individuals fellowships and is coordinating three ITNs. UFZ will work on the screening for bacterial degraders of polyurethane (PU) monomers and identification of the catabolic genes as well as synthesis of PHA with these compounds as substrate (WP3). For the whole P4SB consortium, UFZ will provide tools to control stress adaptation mechanisms of the constructed P. putida strains on the level of membrane lipid composition, cellular energetics and the expression of selected PHA-synthesizing and stress adaptation genes by real time qPCR. UFZ will develop a biological downstream processing step for release and recovery of PHAs by release of membranes vesicles (WP5). For the whole P4SB consortium, UFZ will carry out toxicity tests using a well-established fast and reliable P. putida related growth test in combination with the activity of the cis-trans isomerase of unsaturated membrane lipids present in these bacteria. Dr. Hermann J. Heipieper, scientist, was awarded his Ph.D. in Microbiology in 1992 by the University of Münster, Germany. From 1993 to 1996 he worked as Postdoc at the Department of Industrial Microbiology of the Agricultural University of Wageningen, The Netherlands. From 1996 until 1998 he worked as Postdoc at the Institute of Microbiology of the Third University of Rome, Italy and from 1998 until 1999 as Guest Scientist at the Institute of Environmental Health of the Consorzio Mario Negri Sud, S. Maria Imbaro, Italy. Since July 1999 he is head of the group Microbial Processes of the Department Environmental Biotechnology of UFZ. Dr. Heipieper has been working on the aerobic degradation of xenobiotics, mainly by the genus Pseudomonas, and on the adaptation of bacteria at the level of their membranes to different kinds of stresses, caused mainly by organic solvents being involved in various international projects. He was coordinator of a RTD project within the 5th Framework of the EU-Commission entitled: “Strategies to accelerate the productive biodegradation of several herbicides under environmental stress conditions” (HERBICBIOREM, Contract No. QLK3-CT-1999-00041) and participant in the EU-projects: “Bacterial adaptation to toxic solvents allowing a broader performance of biotransformations of organic compounds in two-phase fermentation systems” (BARTOLO, Contract No. QLRT-2001-00435), “Biological procedures for diagnosing the status and predicting evolution of polluted environments” (BIOTOOL, Contract No. 003998), “Assessment of in situ transformation of xenobiotic organic material” (AXIOM, Contract No. MEST-CT-2004-8332), “Bacterial abiotic cellular stress and survival improvement” (BACSIN, Contract No. 211684). 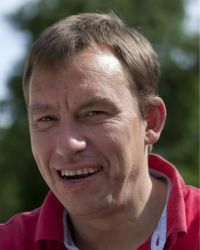 Hermann J. Heipieper is Mini-Reviews Editor of FEMS Microbiology Letters. He is member of the Editorial Board of Applied and Environmental Microbiology, Applied Microbiology and Biotechnology, and Microbial Biotechnology. Dr. Christian Eberlein studied biology at the University of Leipzig and received his diploma in 2009. He started his Ph. D. in the field of anaerobic aromatics degradation within the EU-Project MAGICPAH at the University of Leipzig and finished at the University of Freiburg in 2013. 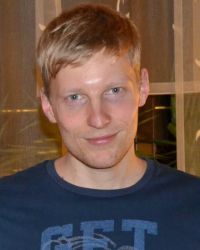 After a postdoctoral position at the University Hospital in Dresden he became a postdoctoral fellow of the Department Environmental Biotechnology at UFZ in 2015.